What the Sensex at 34,000 is hiding! And even though both have fallen to 34,000 and 10,200 level from their peak, the growth in India's stock markets is hiding more than it's revealing. 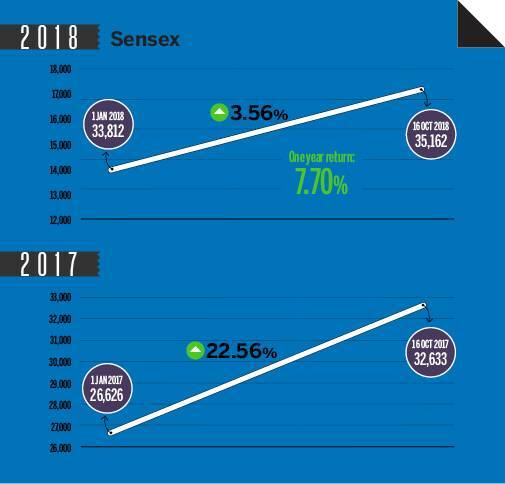 The Indian stock market scripted fresh records in August this year when Sensex and Nifty hit their lifetime highs on high FII inflows, healthy corporate earnings and rising global markets. On August 29, the Sensex hit a record 38,989 level intra day and Nifty touched a new all-time peak of 11,760 in the same session. That was a gain of 14 percent in Sensex since the beginning of this year and 11.19% in Nifty. And even though both have fallen to 34,000 and 10,200 level from their peak, the growth in India's stock markets is hiding more than it's revealing. The 22.56% rise since this time last year hides the fact that it represents barely 30 Sensex companies and 50 Nifty companies. The rest of India Inc has seen a rout as mid cap and small cap stocks have been badgered in the past year. While large cap stocks fell merely 0.30% since October last year, mid cap index fell 13.60% and small cap index lost 19.30% during the same period. Since the beginning of this calendar year, mid caps have fallen 22.40% and small caps lost 28.80%. Here's a look at what the Sensex at 34k is hiding. 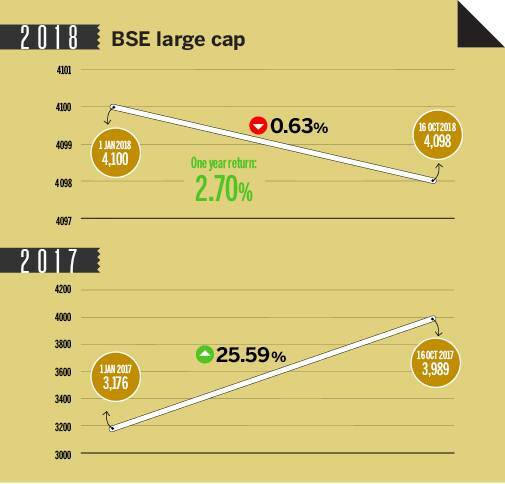 The BSE mid cap index is down 22.40% since the beginning of this year compared to a rise of 32% in the index during the same period last year. The one-year returns of the index stand 13.60% lower. Dewan Housing (67.38%), Reliance Power (45.87%), Motilal Oswal (57.53%) and Central Bank of India (58.61%) are among the top mid cap losers since the beginning of this year. Rahul Agarwal, Director at Wealth Discovery/EZ Wealth threw light on the crash in midcap stocks this year. 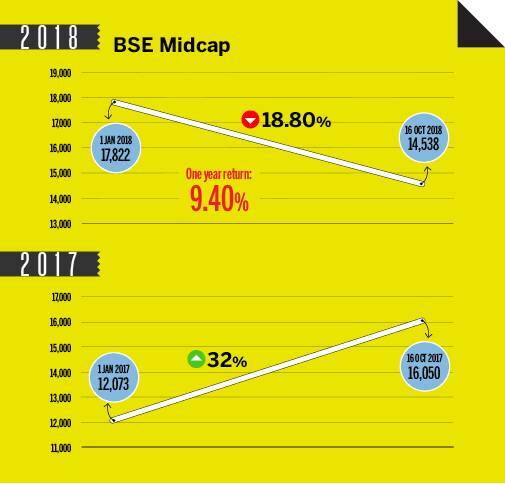 "Midcap returns in 2017 were around 37%. The story in the space is exactly similar to their small cap peers, the overall euphoria around the midcap stocks since 2015 finally ran out of steam primarily due to valuation concerns. At the height of positive momentum, the space was trading at a price to earnings of 37.22 whereas it is currently trading at a PE of 33.92. At the beginning of the rally, the PE was around 24.54. We are seeing a mean reversion in the space, the valuations are now returning toward the mean leading to significant pain for the investors. We believe that there is still room for correction in the space given the current volatile conditions, the investment theme here should be to look for good quality names that have overshot to the downside and accumulate them at each dip. Midcap firms' typically have market capitalisation between Rs 5,000 crore to Rs 20,000 crore. They are much smaller than large cap firms which enjoy market capitalization of above Rs 20,000 crore. The BSE small cap index is not far behind its midcap counterpart when it comes to losses. 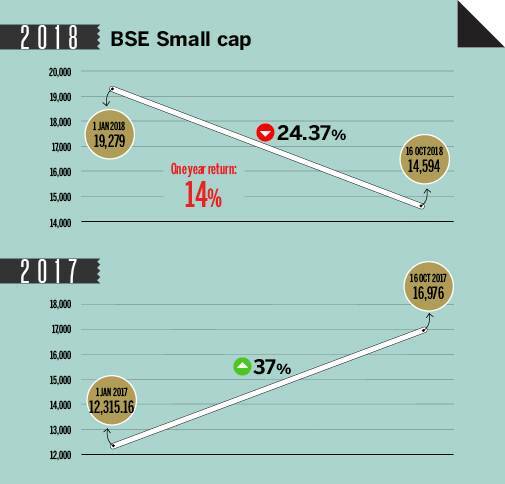 The small cap index has lost 28.80% since the beginning of this year compared to 37% returns it delivered during the corresponding period last year. Small cap firms are either start ups or companies in the development stage. They have low revenues and a small number of clients and employees. The index is down 19.30% during the last one year. Vakrangee (92.28%), JP Associates (75.38%), and PC Jeweller (88.25%) are among the prominent small cap losers since the beginning of this year. On the erosion of value in the BSE small cap index, Agarwal said, "The index is currently trading at an average PE of 40.81 inspite of all the correction. The PE of the same index was at 86 in 2017, and at 62.59 in 2016. In simple terms, these types of valuations are unsustainable and sooner or later the cycle is broken as sanity prevails. Small cap space has had a dream run since last three years where it outperformed the leading benchmarks by a huge margin and once the things started to get somewhat challenging to the overall equity space, small cap space was the first one to get hit hard. In addition to valuation concerns, there were few other factors that added fuel to the fire. The space was hit hard by some major corporate governance issues in the leading names in the space which affected the investor confidence adversely. The LTCG tax on long-term gains and mutual fund reclassification mandated by SEBI were few other reasons that contributed to the dampening of the overall mood in the space." On whether the fall in small cap index offers a good buying opportunity, Agarwal said, "The emerging markets worldwide are feeling the pinch of strong US economy and capital outflows; the Indian markets are also expected to follow suit. At this point, investment strategy should be focused on capital preservation and to eschew from speculative investments. Just because the small cap midcap space has corrected significantly therefore one should buy is a sure shot recipe for disaster. Market corrections are opportunities to screen for good quality names with strong fundamentals and to buy those names at each dip in a staggered way. Once things normalise, these companies would definitely outperform on the upside." 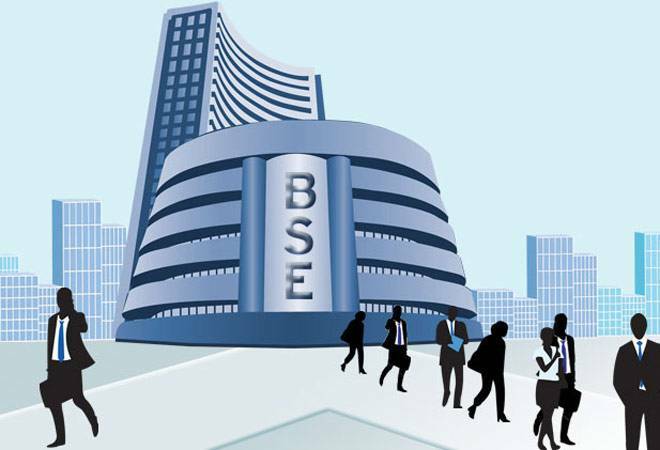 On August 29, when the Sensex and Nifty reached their lifetime highs of 38,989 and 11,760 respectively, the BSE large cap index had gained 10.17% since the beginning of the year. During the last one year, the index had gained 17.40%. Its six-month gain stood at 11.30%. 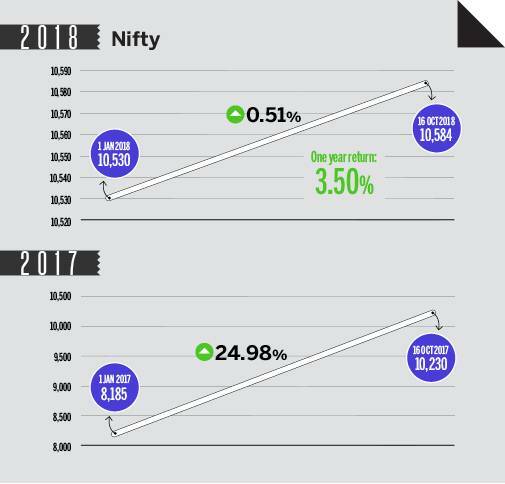 However, the mid cap index had clocked just 0.70% gains in the last six months, the first positive gain among the midcap and small cap indices this year. Since then the Sensex and Nifty have fallen nearly 11% from their all-time highs of August end. The large cap index too has lost 13.4% during the same period. The performance of large cap stocks which are down 0.63% since the beginning of this year is also not tempting for investors to put in their hard earned money. After a handsome 25.59% rally in the index between January 1, 2017 and October 16, 2017, the index managed to return just 2.70% during the last one year. VK Vijayakumar, chief Investment strategist at Geojit said, "Large caps are down mildly and mid-and small-caps sharply due to major headwinds being faced by the economy and markets. Rise in US bond yields, sustained FII selling, trade wars particularly between US and China, liquidity issues caused by the IL&FS default, sharp spike in crude, India's widening CAD and depreciating rupee are major headwinds. Apart from this, there are concerns regarding the outcome of the upcoming elections to some key states and later the general elections. These headwinds are strong and tailwinds like improved corporate earnings are still elusive. Large-caps are down only marginally because there is margin of safety in large-caps while the mid and small-caps might find the going tough under the difficult conditions caused by the headwinds mentioned above. Even after the correction in the market, the fact is that India's valuations are higher than the last 10 years average valuations while the valuations of most Emerging Markets are lower than the last 10 years average valuations. The mid and small-caps had a spectacular run in 2017 fuelled by liquidity. Valuations became hard to justify. Now, we are witnessing normalisation in valuations in this segment. The huge liquidity flows into mid- and small-caps in 2017 was the consequence of first time investors rushing to buy mid-and small-caps hoping for huge capital appreciation. This resulted in excesses. Market has a knack of creating excesses and removing excesses. The excesses created in 2017 are being removed now." This footwear stock turned Rs 1 lakh into Rs 8 lakh in five years, do you own it?